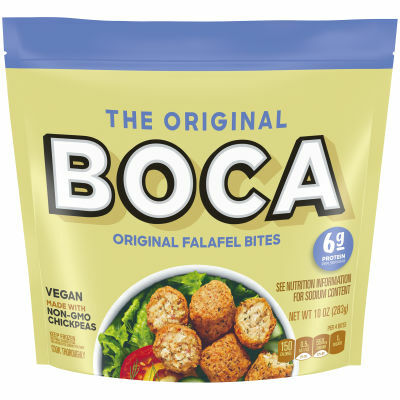 The BOCA Original Falafel Bites are the newest addition to BOCA, the original plant-based food offered in the frozen aisle. When dining out, falafel is a go-to menu item, so now we are offering this delicious plantbased option for you to enjoy at home. Serving size 4 bites (76g).